Another week has gone by and surprisingly the sun has even decided to come out today - 15 days into Spring and it finally shows it's face - hmmm. It's good though - the forecast for tomorrow is looking encouraging and this time we might even get the Working Bee going at our club field - the last time we scheduled one the bloody thing had to be cancelled at the last moment due to the weather. Earlier this week I promised an update on the Lancaster, more build photos of the Senior Telemaster and the final finished photos of the Phoenix - yeah well - what is it they say about the best laid plans etc, etc. 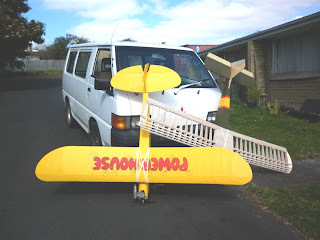 Sorry dear reader but you'll just have to make do with some detail photos of the Texan to Wirraway conversion, a couple of Snr Telemaster photos and some build shots of the Wittmann Tailwind. I've also added some details on extra work I've done to the Lancaster but - sorry - no photos yet. This photo recovery thing is lot harder than I first thought so I've passed them all on to a mate who is a wizard with Photoshop. 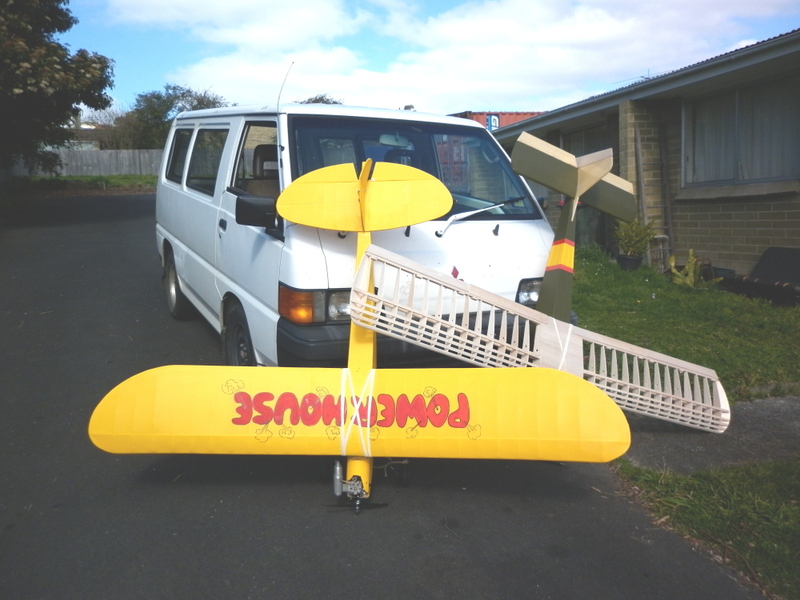 Hopefully he will be able to work some magic because if he can't I've lost all the detail photos of the Lancaster build, a substantial part of the Senior Telemaster, The Big Lazy Bee and a couple of other things I haven't posted yet. Finally, now I have my camera back - and working - I'll re photograph the finished Senior Telemaster and the Phoenix - which has risen once again! One Photo I did manage to salvage. Have you noticed how damn BIG models seem to be getting lately?? I'm sure there's a bit of breeding going on in my hangar when I'm not looking too!! I collect stats on the number of readers of my blog and where they are from and I must admit I'm surprised at the number of Countries who have had a look in - just shows how universal our hobby really is! The list is quite interesting : - Afghanistan! (Coalition Forces?? - G'Day fellas. ); Argentina; Australia (G'Day Glenn, Bob, Gregg, Stan, John, Grant, Mal, Trevor, Jack); Belgium; Brazil; Canada; Cyprus (G'Day BB); Czech Republic; Denmark; Egypt; Finland; France; Germany; Greece; Hungary; India; Italy; Latvia; Malta; Mexico; Netherlands; New Zealand; Norway; Republic of Korea; Romania; Russian Federation; Serbia; Slovakia; Spain; South Africa (G'Day Tony); Switzerland; Thailand; Turkey; United States (G'Day Wally, Leon); and the United Kingdom (G'Day Gasser, Phil, Tony, Eric, Stephen, KK and all at Model Chat); Also G'Day to my 5 followers - Matt; Allen; StuG; Thomas and Luana e Gabi Ferreira Oliveira from Brazil.